In many ways, “O”, released on Thrill Jockey after a nine-year break, was a second debut album for Markus Popp aka Oval. A radical break with old concepts and methods, a new beginning. While Popp’s artistic approach in the 1990s and early 2000s was more of a structural, theoretical nature, “O” was just about the music itself. Themes such as the means of production, limitations, dogma and concept took back seat to a musical sensibility. Instead of writing new software to synthesize and process sounds, for “O”, Popp dove into the heart of our preset-culture. He acquired a standard PC and only used the pre-installed sounds and plug-ins. With this ready-to-play machine and conventional musical instruments like the guitar and drums, a new chapter in the story of Oval was written. The musician Markus Popp takes center stage: the developer, theoretician and media artist remains in the background - special knowledge, which makes it easier to understand Oval’s music. Just have a listen. DNA is a mountain of an album: an audio CD with 25 tracks, each about three minutes long. Some are no longer than a minute. Here you’ll find a collection of rare Oval pieces and 12 previously unreleased tracks. DNA is a mixture of music from Markus Popp’s various creative phases. It’s surprising how old and new meld seamlessly together, and how, for Oval, formalism and musicality have produced similar results. Markus Popp has found an unmistakable musical language and declined it from A to Z. DNA, so to say, is the accompanying dictionary. Originally, this album was supposed to appear before “O” and conclude the “electronic” phase of Oval. A farewell of sorts. 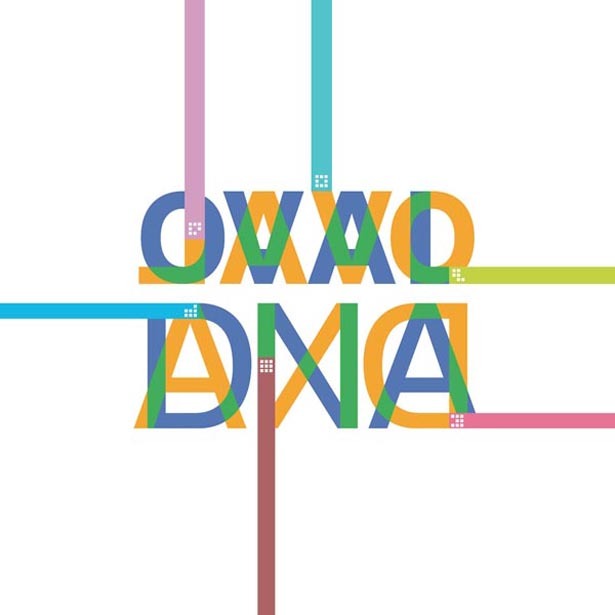 Disc 2 of DNA is almost something like an Open Source Manifesto: It contains the SoundBrowser/Sequenzer-Software OvalDNA and more than 2,000 Oval Sounds from various phases of Popp’s work as individual AIFF files. The software and sound files are intended for music producers and are available to all without restrictions. Also included is a video documentation of PlayGroundTV/Madrid, the “Glass UFO” music video by AmberleyProductions/Berlin and 10 bonus tracks for the OvalDNA album as WAV files. In you try to define Oval’s music in words, sooner or later you’ll end up describing organizational processes. Terms such as “tissue” or “weaving” seem suitable. In fact, here everything seems to undulate, pulsate and breathe. DNA is intoxicating and wonderful. There is the intensive guitar work of the new pieces, an eruptive bundle of sounds, the sparkle and shimmer of high tones. The simultaneousness of countless events, unbelievably dense and at the same time secretly light. Then comes a maelstrom of surfaces, warm, warped drones that penetrate into the depths. An expressive, open playfulness with rhythm. Great harmonic, melodic richness. Euphoric, breathless and uplifting. For years, Markus Popp aka Oval has belonged to the most prolific and internationally renowned producers of contemporary electronic music. His CD releases, remixes and film soundtracks are considered timeless classics, many are seen as turning points for the entire gene. His radical, process-oriented and nonetheless highly musical approach anticipated “glitch”, “clicks & cuts” and “minimal” and still inspires and provokes a whole generation of musicians. The characteristic tension between strict formalism and subtle, organic melody are what make his fascinating “music 2.0” so distinctive. Besides the long-standing projects MICROSTORIA (with Jan St. Werner/MOUSE ON MARS) and SO (with Eriko Toyoda) Popp has worked with BJÖRK, RYUICHI SAKAMOTO, TORTOISE, SQUAREPUSHER,JIM O‘ROURKE, PIZZICATO 5, MOUSE ON MARS, GASTR DEL SOL etc.